As designers of bespoke kitchens, libraries and architectural joinery for period country houses, we often need to delve into the past to gain inspiration, and often that journey heads towards classical design. It’s a common misunderstanding that formal architecture is rigid and inflexible. In fact we’ve found the opposite to be the case. 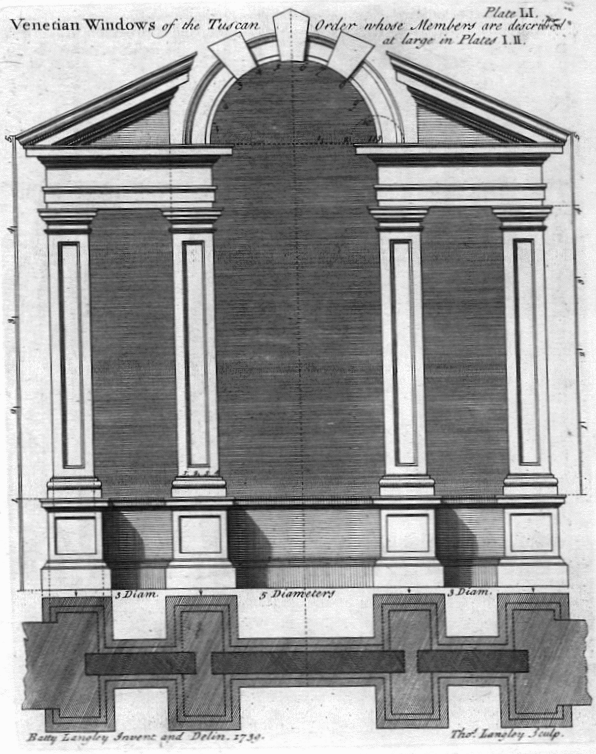 Granted, certain shapes and mouldings are very much guided by geometry, and certain entablatures and orders are to be used in certain specific ways, but the rest seems very much down to the architect. 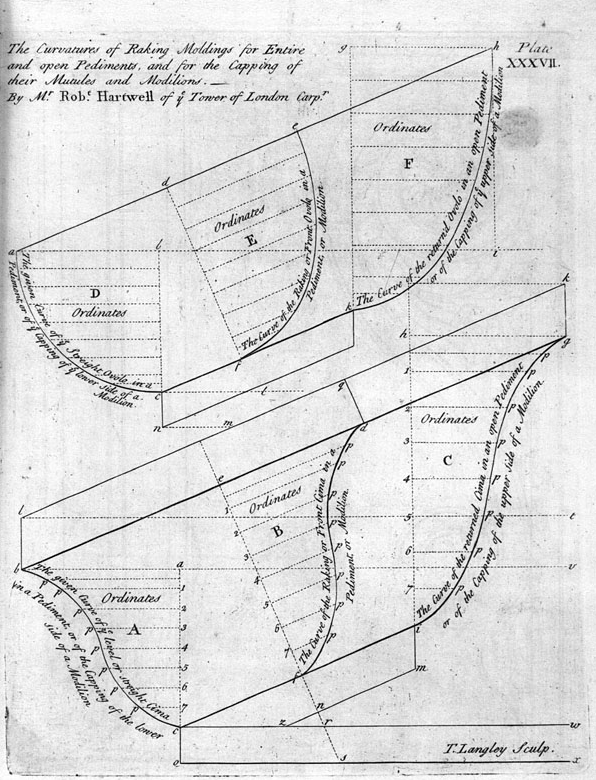 In fact, it’s this geometry that’s been the reason for classical architecture’s success around the world. Geometry gave the architecture a formula that meant it could be copied, time after time, beautifully, in the same way, without risk of changing the proportions and nature of the work. It was, in many ways, architecture by numbers. 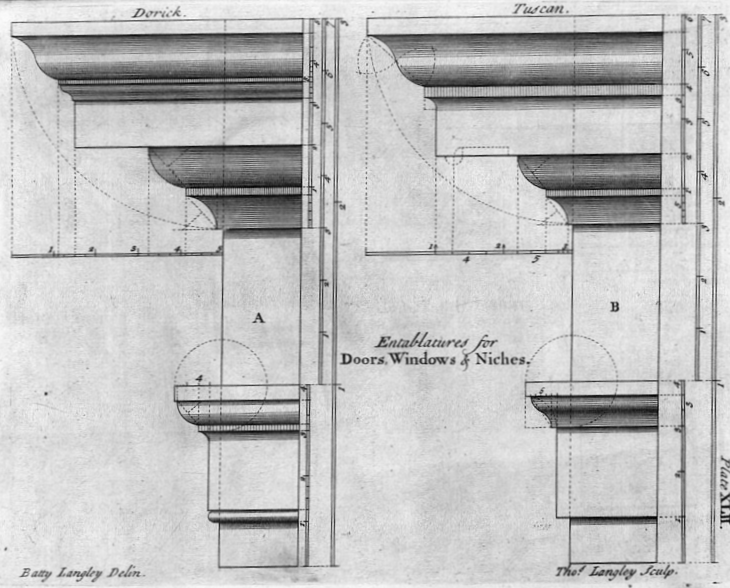 One of our favourite reference books for classical interior architecture, bespoke classical kitchens and architectural joinery projects is The city and country builder’s and workman’s treasury of designs, written in 1750 by Batty Langley. 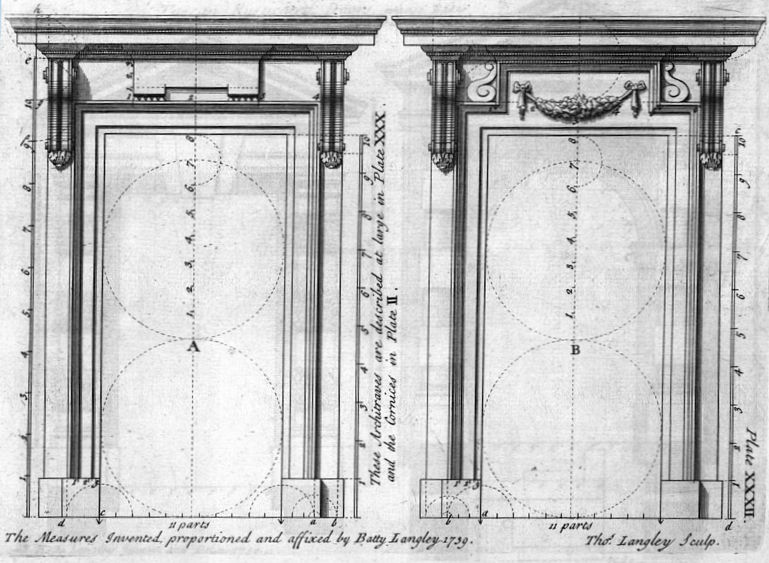 During the early periods of English Architecture it was not uncommon for architects to be from other trades, such as joiners, cabinet-makers or even, in Langley’s case, landscape gardeners. Much of London’s early architecture was in-fact “borrowed” from books such as his, and we have referred to many of them ourselves when designing bespoke kitchens or architectural joinery in classical country houses. These are some of our favourite plates from this period of English architectural publishing. What is so interesting about these plates are that they show so clearly the reason that classical architecture gained such popularity around the World from its origins in Athens and Rome. 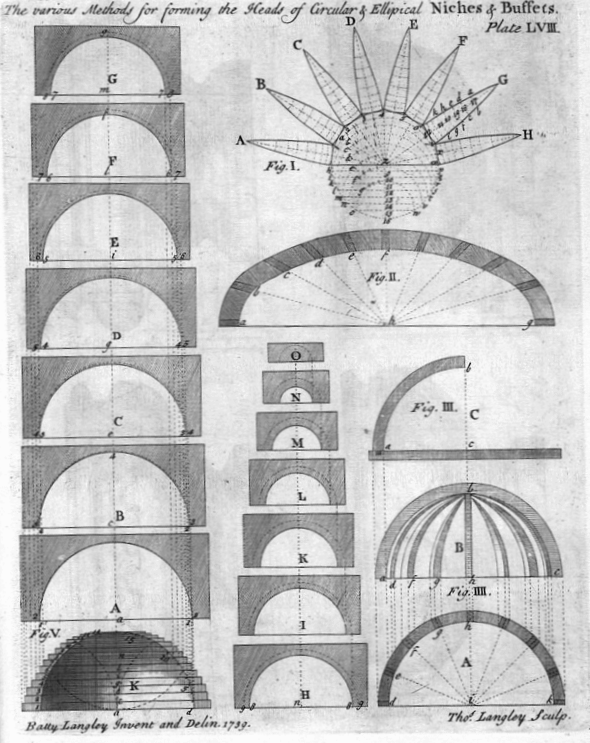 The use of geometry provided a known formula that could be copied and exported through books such as Langley’s. This allowed the proportions to be kept and thus copied repeatedly in the same beautiful way, time after time. The best example of the exporting of architecture was the use of Langley’s book during the building of George Washington’s home Mount Vernon. 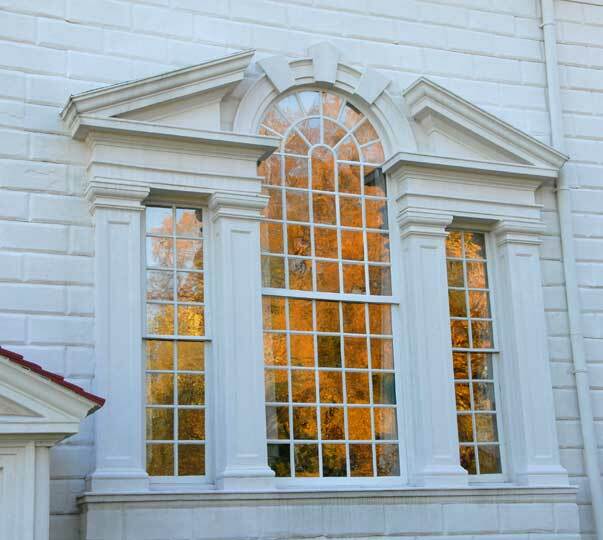 The builder used Plate 51 from The city and country builder’s and workman’s treasury of designs when building the Palladian window below.